The route onwards from Barisdale looks fairly straightforward on the map, but as so often with this trail, the reality is very different on the ground. The loch side path is rough with frequent, short steep climbs and descents. 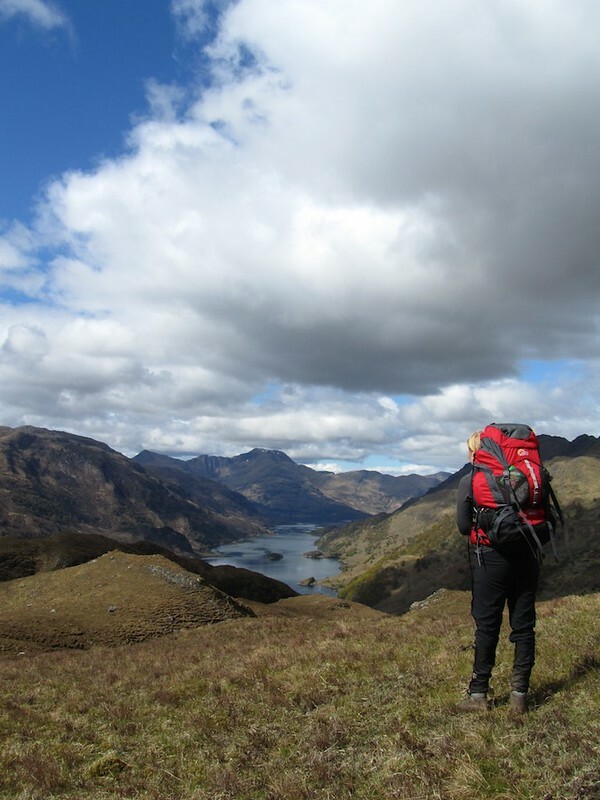 By the time you reach Kinloch Hourn (3-4 hours from Barisdale) you'll feel like you've done a good day's walk already. Surprisingly, for somewhere so remote (more than 20 miles from the main road), there is accommodation and a tea room open April to September, and you'll be glad of the refreshment as there is more tough terrain to come. Camping is also possible just over the bridge. From Kinloch Hourn the trail climbs steeply towards Sgurr na Sgine to Bealach Coire Mhalagain. This is mostly rough country and trackless for much of the last steep climb up the glen to the Bealach. In poor weather, you'll need to keep an eye on your navigation over this section. From the bealach you'll pick up a helpful line of stones (starting about 30m uphill from the small lochan) and rough path that descends over Meallan Odhar descending on a rough, sloppy track to the river. This is an unpleasant track, even if you manage not to lose it. The river crossing of Allt Undalain (best done opposite the ruin 934163) will be difficult if not impossible when the water is high, so you'll have to try to cross the tributary Allt a Choire Chaoil higher up and contour round to pick up the Shiel Brige path. Shiel Bridge has a good range of amenities, including a post office, shop (at the garage), hotel & bunkhouse, campsite (at morvich) and Shiel Bridge. There is also a youth hostel (at Ratagan). In foul weather or if you are finding the rough terrain particularly challenging this early in the walk, you have the option to take the road into Shiel Bridge. 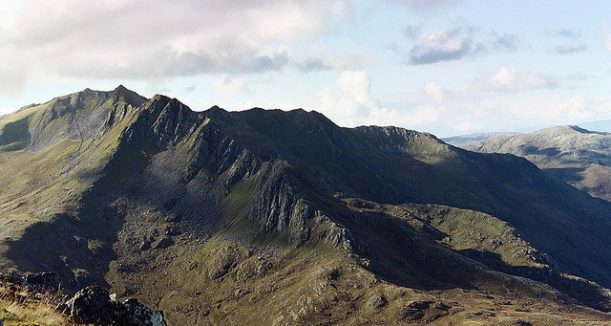 As you descend from Meallan Odhar to Bealach na Craoibhe, turn East instead of heading West and descend to the A87. It's a long old slog along a relatively busy road, so this really should be used only in emergencies.